It’s that time of year again, where the grass grows a little faster and so do the weeds as well. You know the infamous saying, “Spring Showers, Brings May Flowers”, well we certainly have experienced our fair share of rain in Indianapolis the last few weeks. As the rain continues, many yards need to be maintained more often. If you do not enjoy yard work, experience allergies or are not sure of the proper way to maintain your yard, you may be interested in hiring a landscaper at some point. This process can seem daunting and you may be overwhelmed trying to find the right fix just for your needs. Although this task may not be exciting, think of the amount of time you will save not having to mow the yard and pull the handful of weeds each week. 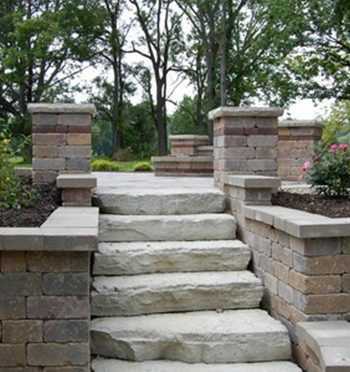 They are also experienced and will have the proper equipment and tools to perform all of your landscaping needs. As you prepare for the summer season, let’s try and make the process of finding a landscaper a little bit easier. While you are driving or walking around the neighborhood and you notice yards that are well-maintained, ask the home owner if they perform their yard work or if they hire a contractor. Create a post on Facebook or Twitter to see who others recommend as well. Once you have a list of a few companies, visit their website for testimonials and/or look for reviews on Google and Angie’s List. Reading reviews both positive and negative, can save a lot of time when making your final decision on narrowing your list down to a few options. You can learn a lot about a company from the reviews that clients submit. Since they have worked with these companies first hand, they know how they treat their clients and the quality of work they perform. You can also view projects that they have worked on when browsing their Facebook page and/or website. It is never a good idea to go with the first person you speak to. Although their price may seem the most reasonable, it is best to call or submit quotes to a few different companies to ensure you are not only receiving a price that fits in your budget, but you can compare what each company has to offer in their quote. You also want quality work, not just the person who can do the job for the lowest price. Make sure you work with a licensed and bonded contractor. Have them show some sort of proof of insurance and or workman’s compensation. You want to be covered just in case there are any injuries on your property. Once you have chosen a contractor, compose a list of questions for them to answer. Below are a few examples. What equipment will you use for my project? Will you provide a detailed image of what the project will look like? How does your payment system work? Do I pay half up front and half after completion? Go over the contract in detail. Before signing any contract, make sure you have all of the questions about the project answered. 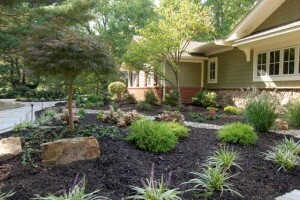 There are numerous landscapers out there, be sure to do your research before committing to one. Good luck!